Tim is an Enid native and graduate of Enid High School. He attended the University of Oklahoma where he majored in TV & Radio Broadcasting. He spent ten years as an Oklahoma sportscaster before landing a job as PR director on the Virginia Slims tennis tour. After time spent in the corporate world with Southwestern Bell and Aerial Communications, Tim started a marketing consulting company in Houston. 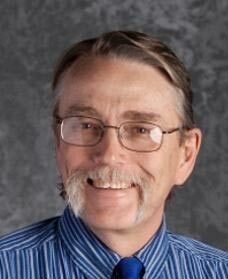 Tim was part of a four-person Astronomy class under Nolen Harsh at EHS in 1973. He and wife Nancy have a six-year-old granddaughter and three dogs. They live in the Friendswood area of Houston. Whitney is the Quality Manager for Oxbow Calcining, located in Kremlin, Oklahoma. She graduated with a B.S. in Chemical Engineering and a M.S in Engineering and Technology Management from Oklahoma State University. Born and raised in Tulsa, OK, she moved to Enid in 2009. Whitney is an enthusiastic community volunteer supporting the Metropolitan Area Planning Commission, Main Street Enid, the Enid Young Professionals, Hedges Speech and Hearing and the Gaslight Theater. She is a member of Willow View United Methodist Church. 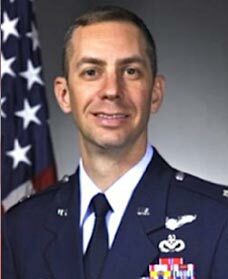 Lt. Col. Loschinskey is the Deputy Commander, 71st Mission Support Group, 71st Flying Training Wing, Vance Air Force Base, Oklahoma. He is responsible for base operations functions and all support for the Vance mission and community. Previously, he was the Commander of the 1st Special Operations Civil Engineer Squadron at Hurlburt Field Florida. Colonel Loschinskey was commissioned in 1996 as a graduate of the Air Force ROTC program at The Citadel, earning a bachelor's degree in civil engineering. He has Master’s degrees from Webster University in St. Louis and the Naval War College in Newport Rhode Island. 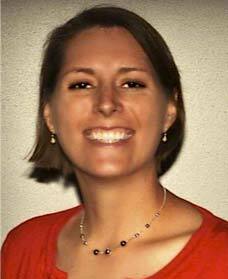 JJ’s wife, Erin, teaches English at Enid High School. In Sandra’s role as Area Manager for AT&T in Northwest Oklahoma, her responsibilities include advocating legislative and regulatory change at the state level, as well as, ensuring that AT&T supports the communities it serves through business and community relationships. 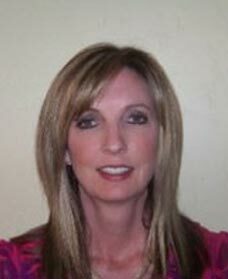 Sandra grew up in Enid and earned her degree in Business Administration from Northwestern Oklahoma State University. 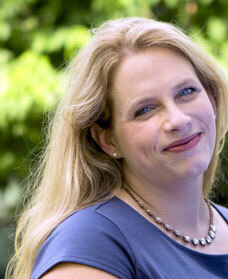 Before her time with AT&T, Sandra was self-employed and ran a trucking company, SLD Trucking for almost fifteen years. She is a board member for Youth and Family Services, Hospice Circle of Love, St. Mary’s Medical Center, and serves as the chairwoman for the Enid Higher Education Council. She is a member of several chambers across Northwest Oklahoma. She is married with two children. Born and raised in Buffalo, OK, Dusty graduated from Buffalo High School in 1979. He received his Bachelor of Science degree in Biology from Northwestern Oklahoma State University in 1983. 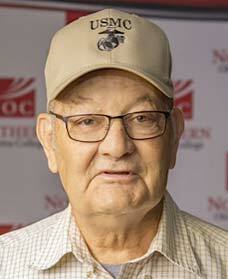 After graduation, he worked as a loss-control coordinator and lab director at Gold Spot Dairy in Enid. He became a science teacher at Enid High School in 1994, teaching physical science, then biology. He began teaching astronomy in 2000 and continues in that role today. In addition, he also teaches meteorology and a “Teach Oklahoma” course for students interested in education as a career. He serves as curriculum coordinator for Secondary Science and as a Junior Class sponsor. His wife, Lisa, is a pre-K assistant at Taft Elementary. Dusty and Lisa have two children. Rick is a graduate of Enid High School and Phillips University. He played tennis collegiately for the Haymakers and graduated from the school with a degree in geology. After a brief stint working as a well-site geologist, Rick returned to Phillips and obtained his teaching degree. He was hired as a science teacher and girls’ tennis coach at Enid High School in 1978, and remains a teacher there 38 years later. His teaching assignments have included astronomy to accommodate the large interest in the subject generated by current EHS astronomy instructor Dusty Hugaboom. 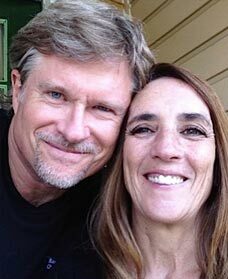 Rick is married to his high school sweetheart, Linda Zelnicek. They have two sons and two grandchildren. 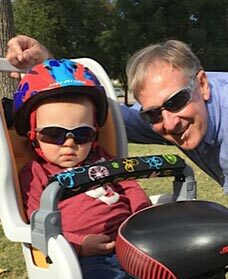 Rick’s hobbies include tennis, chess (he spent years playing against former EHS astronomy instructor Nolen Harsh), gardening, travel and spending time with his grandson Kash. Fritz has been a Professor of Astronomy at Northern Oklahoma College since 2002. Prior to that, he spent 32 years teaching astronomy and building observatories at Leeward Community College in Honolulu, HI. Osell launched the Astronomy program on the NOC campus in Enid, building both the observatory there as well as the Mackie Planetarium, which has hosted more than 20,000 guests since it’s opening. A Marine Corps veteran, Fritz was born and raised in Bakersfield, CA, and attended Washington State College (now Washington State University). Chris is a professor in the Department of Physics and Astronomy at Rice University in Houston. 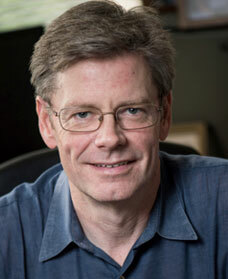 He is also the director of the Rice University Campus Observatory. He received his B.S. and B.A. from the University of Texas, graduating in 1989, then went on to earn his Master's and Ph.D. degrees from the University of California at Berkeley. He was a W.J. 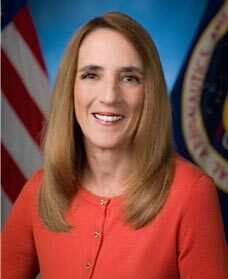 McDonald Fellow at the UT McDonald Observatory and spent four years as an assistant research physicist in Berkeley before joining the faculty at Rice in 2001. His research pursuits are all related to the astrophysics of lower mass stars, including the Sun. Abbey grew up on a farm outside Enid and her parents, Debra and Danny Blakley, as well as her husband, A. Brent Richards, Ph.D., are public school educators. Abbey currently works as Associate General Counsel and Senior Advisor at the George Washington University where her focus is on university governance, financial transactions, and compliance. Abbey first fell in love with space through her father’s passion for science and she continues to share that love with her husband and three young children. "The CGO renovations and upgrades," Abbey says, "hold great possibilities for students in Enid and beyond to view and explore space from right here in Oklahoma." Cristian D. Ayerbe was born in Miami, Florida. He grew up in the Hispanic community of Hialeah, surrounded by the urban sprawl of Miami. It wasn't until late 2013 when he moved away from the city and went on to live in Dodge City, Kansas. His stay was short-lived though, moving again only a year and a half later in early 2015 to Enid, Oklahoma. He has two very supportive parents and two younger siblings who look up to him. 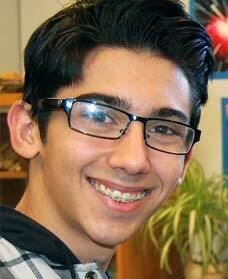 Of his EHS Astronomy class, Cristian says, "I've always loved space. It's amazing to me that even though we've been studying astronomy for hundreds of years, new discoveries happen almost every day." Emily was born in Enid, Oklahoma. 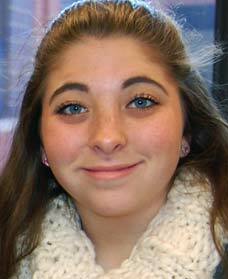 An Enid High School sophomore, she enrolled in Astronomy "because I've been fascinated by the stars and planets since I was a little girl." In the summertime, she likes to stargaze and calls the Summer Triangle home to her favorite constellations. Emily is proud of the support of her parents, and the accomplishments of her older brother Evan and younger sister Erika. She enjoys playing tennis in her free time. As for her future, Emily says, "I'm going into the graphic arts,. I love to draw and create things. I want to show everyone I can make people happy with my art." Before installation of a new telescope to replace the more than half-century old viewing instrument currently in the dome, volunteers will give the observatory a good cleaning from top to bottom, and you and your company, organization or group can help. Coming soon, the Currie-Gregg Observatory will sponsor "OCURT Saturday." We'll spend that day providing the venue much-needed tender loving care. We'll clean, we'll remove rust, we'll paint, have lunch and have fun, all for a great cause. If your company would like to assist us, go to our Contact page and fill out the "Friends" form you'll find there. We'll get back in touch with more details.